There are a number of different ways to set the mood when it comes to designing and decorating the rooms in your house. For example, by changing the paint color of the walls, you will automatically set a certain mood. You can do the same thing by incorporating different types of lighting or swapping out carpeting for hardwood flooring. But one of the easiest and most unique ways to set the mood in a room is by incorporating patterned glass into it. Affordable Glass & Mirror Co. offers a range of different patterned glass options for those looking to make a splash in their homes. Patterned glass features distinctive flourishes and features that make it stand out – far more than standard window glass. 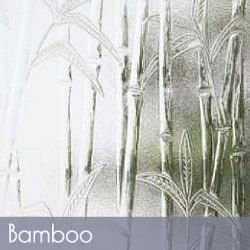 For example, our Bamboo style is one type of patterned glass that you can have installed in your home. When you choose this option, you can add the look and feel of natural plants to a room without having to maintain actual plantings. It’s a great choice for a bathroom, but works well for an enclosed gardening porch space as well. is another available style of patterned glass. It’s ideal for those looking to add a touch of class to their glass in a more formal setting. This design features curls of vine-like spindles that would look great in a high window in any room or as a frosted glass insert in your front door. 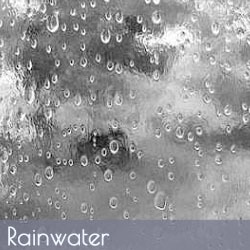 Rainwater is one of our most fun and distinctive patterned glass styles. This glass always looks as though raindrops have been splashed across it, creating a rainy-day scene even on the brightest days. 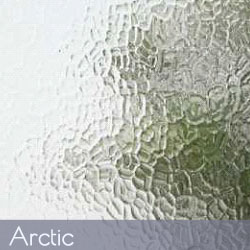 This glass is perfectly appropriate as a shower door, but can also create a new aesthetic for an enclosed porch or sunroom for anyone who loves the feel of a relaxing rainy day. Looking for something to provide a bit of privacy? 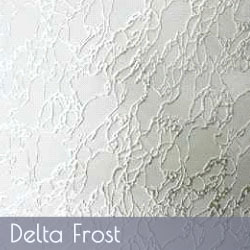 Try one of the “cool” styles of glass – Delta Frost, Arctic or Crystal Ice. Each of these patterned glass styles offers an opaque look that can add privacy while also allowing ample light to get through. 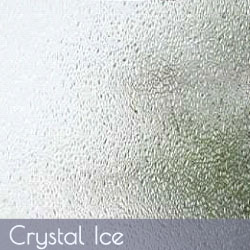 Try one of these styles in a shower door or cut for your front or back door. This glass can also make a great dividing wall in the bath or a modern kitchen design. There are so many different ways to alter the look of a room with patterned glass. Whether you just want to have one window with patterned glass or you want to put patterned glass in all of the window panes inside of a hutch or cabinet, it’s easy to set a new mood in a room with these versatile materials. And the best part about patterned glass is that you won’t have to pay an arm and a leg for it like you might with other types of design materials. If you are interested in installing patterned glass in any room your home, Affordable Glass & Mirror Co. can show you all the available options. Call us at 404-361-5151 today to learn more about our entire selection of patterned glass.